Did you know? Junk food and drink brands have been targeting us since we were little—even before we knew what advertising was. They know if they hook us on their brands while we’re young that we could become lifelong customers. What’s worse is that over 90% of foods marketed to us are high in salt, sugar or fat. The food and beverage industry invests billions into marketing research and strategies to manipulate our food preferences. This must stop. Right now Canada’s federal government is debating Bill S-228—a pivotal bill that would prevent food industry from marketing unhealthy foods and drinks to children 12 and under. Why is this even a thing, right? It is critical that this bill is passed. As young Canadians, we can help support Bill S-228. But we need your help. The Young Canadians Against Marketing to Kids created an advocacy toolkit to help you take action against marketing to kids in your school, community and on social media. You will find many resources you can use to show our government that Bill S-228 is extremely important to young Canadians. Why is Bill S-228 important? Growing up in Canada, we should be encouraged to make healthy food choices—not this constant exposure to slick ads that are designed to make us crave junk food. Did you know that 90% of foods marketed to us are unhealthy—high in salt, sugar or fat—and have been linked to negative health outcomes? It is time to demand action and protect young Canadians against these multi-billion dollar corporations and their calculated tactics. Bill S-228 will introduce restrictions on the marketing of unhealthy food and drinks to young people (under 13). Such restrictions are a critical part of Canada’s Healthy Eating Strategy and would help to create a healthier Canada for future generations. It’s time for us to speak up. Use our Advocacy Toolkit to show your support for Bill S-228 and take action against marketing to young Canadians! You can start by using #Marketing2Kids on all social media platforms and follow @YouthAgainstM2K on Twitter! Let your community know why #Marketing2Kids and/or #BillS228 matters to you. Consider tweeting your MP with examples of junk food marketing in your community. Thank you for taking action against the marketing of unhealthy food and beverages to kids! The laws and parameters we advocate for today will shape our future and the future of generations to come. It’s time to show Canada this is an issue young Canadians care about. Let’s make 2018 the year to remember. A year that we worked together to accomplish this milestone in health policy. 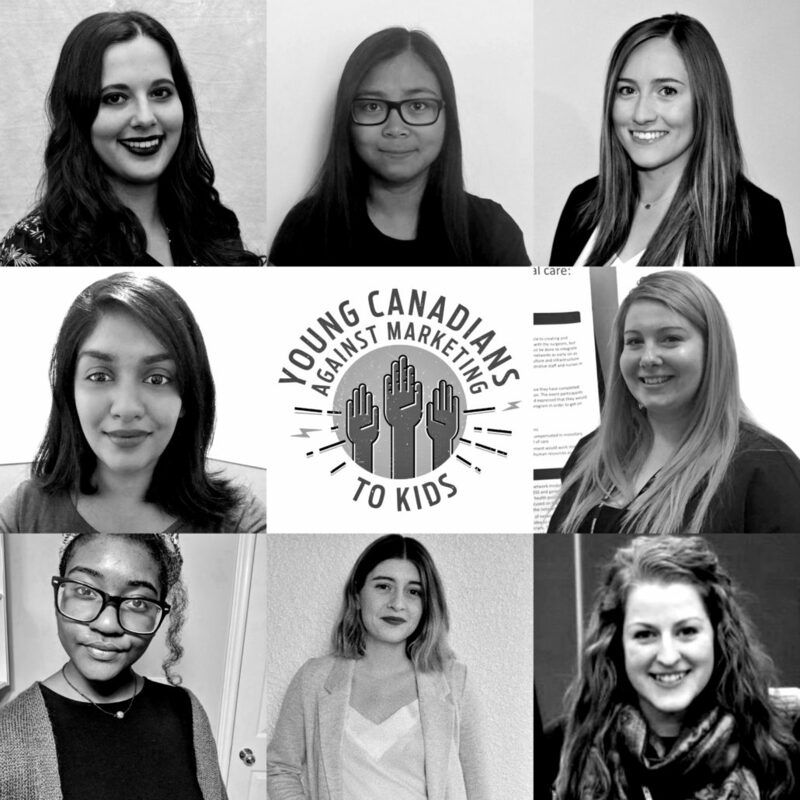 Young Canadians Against Marketing to Kids is group of young Canadians aiming to improve the wellbeing of kids and youth through advocacy and policy change. We hope to inspire other young people to join the movement against food and beverage marketing to kids.